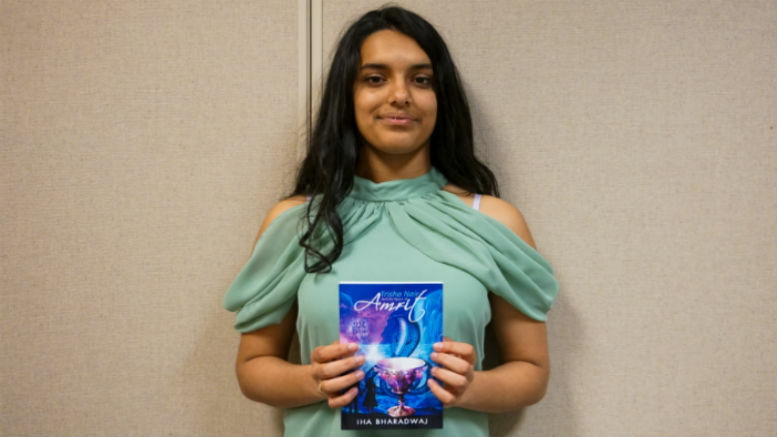 Freshman Iha Bharadwaj published her third novel last October, called Trisha Nair and the Quest of Amrit. 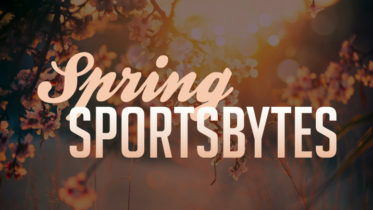 She held a presentation and Q&A session for a crowd of all ages at the Fremont Main Library on March 18 where she discussed her inspirations, writing process, and experiences with publishing young adult fiction. Bharadwaj first expressed an interest in writing in second grade when she became the youngest winner of her elementary school’s Young Author Faire Competition. Though she wasn’t originally confident in the story, Katie’s Adventure, her mother encouraged her to continue writing, and her teachers offered to help with the editing. Katie’s Adventure, published when Bharadwaj was 8 years old, chronicled the exploits of a shapeshifter trying to save the world. She wrote two more books over the next few years. Her second book, Stranded, published in 2016, was inspired by Bharadwaj’s relationship with her sister. It tells the story of a brother and sister who are stranded after a plane crash. Trisha Nair and the Quest of Amrit will be Bharadwaj’s third book and the first of her new series. She incorporated elements of Hindu mythology after noticing the lack of Hindu influences in modern literature. She learned the wealth of her knowledge about Hindu mythology from her mother and grandfather. Studying the writings of other authors, such as American author Rick Riordan, has also allowed her talents and writing style to grow as well. While creating her first two books, she avoided sharing her achievements with the MSJ community, focusing publicity on her family and connections in India. Elementary and middle school teachers have helped her in the past, but not at MSJ yet. However, encouragement from her friends changed her mind, and once she introduced her third book to her peers, she was met with overwhelming positive feedback that reinforced her passion for writing. Currently, Bharadwaj is working on the sequel to Trisha Nair and the Quest of Amrit, and has expressed interest in holding similar book talks as her writing career develops. 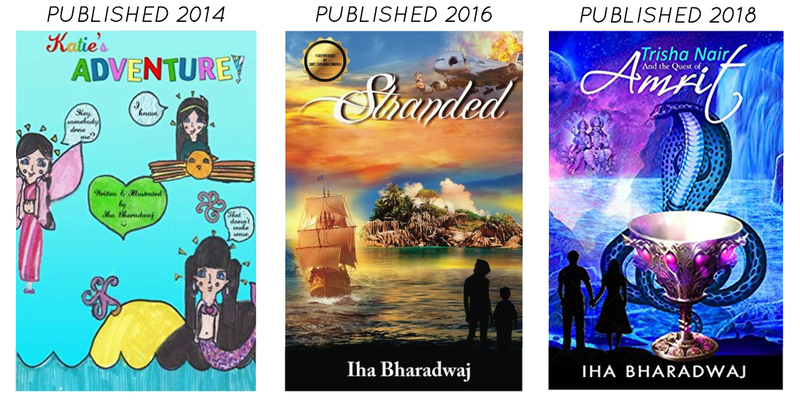 1 Comment on "Student Spotlight: Freshman Iha Bharadwaj Publishes Her Third Young Adult Fiction Novel"